The outline of Namerikawa City is introduced here. Namerikawa City is located northeast from the central part of Toyama Prefecture with the area of 54.63 square kilometers. The northwestern part faces Toyama Bay, which is one of the best treasuries of marine products in Japan and is praised as "natural fish tank”. The bay is a member of “The Most Beautiful Bays Club In The World". (*Please visit "Beautiful Toyama Bay Club" site, ). The southwestern part of the city is adjacent to Toyama City, the Prefectural capital, with the downstream part of Kamiichi River (which is joining Goh River) as a border, while the eastern part is adjacent to Uozu City with the Hayatsuki River as a border. The city area is formed on the alluvial fan sandwiched between the Hayatsuki River and the Kamiichi River, with the background of 3,000-meter high Tateyama Mountain Range called “the Japanese Northern Alps” spreading southeastern part of the prefecture. Because the Toyama Bay and eastern Toyama Prefecture including Namerikawa City have a variety of geological and topographical features, they are certified as a Japanese Geopark (*refer to http: //www.geopark.jp/) and are called "Tateyama Kurobe Geopark" (*See http: //tatekuro.jp/)..
From Heian to Muromachi period (8th to 16th century), the region of current Namerikawa city was a manor called “Horienosho” owned by the Yasaka Shrine in Kyoto and had been developed as a grain-producing area. After the unification of Japan by Hideyoshi Toyotomi, a famous feudal ruler, through the Warring States period, the area called Niikawa County including the present Namerikawa City area was passed under the territory of another feudal ruler, Toshiie Maeda. In particular, the coastal area along the Hokuriku Highway had prospered as a post town of Kaga clan during the Edo period (17th to 19th century). From the Meiji to the Taisho Period (19th to 20th century), the county government office was established and developed as a political and economic center of Nakaniikawa County. 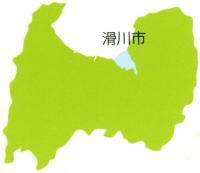 On November 1, 1953, 7 local governments (6 towns and 1 village) including Namerikawa Town merged. On March 1, 1954. Then the city organization was established and recognized as Namerikawa City. Thanks to the succeeding development, the city currently has a population of about 33,000 people. Manufacturers of a wide range of items such as pharmaceuticals and building materials are expanding at present, as well as agriculture and fishery, especially firefly squid fishing, from long time ago. Since many companies have set up their headquarters and manufacturing bases here, shipment of industrial products mounts to 8.44 million yen per capita. This is number one in Toyama Prefecture, so it is called "Manufacturing City" (* Calculated from the ascertained value of 2016 annual industrial statistics survey). In Namerikawa city, traditional folklore events and culture have been inherited through generations. 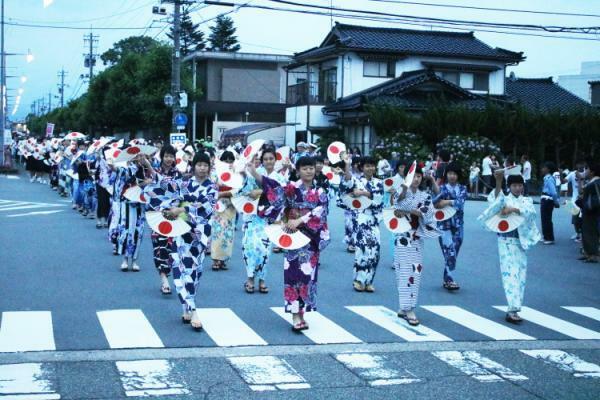 "Furusato Ryugu Matsuri (Hometown Ryugu Festival)" is held in mid-July every year. This festival is based on the legend that Dragon Palace is located in the sea off Namerikawa. During the parade, the residents march performing a traditional art "Niikawa Kodaijin" which is believed to have been inherited from the era of Kaga Clan government. 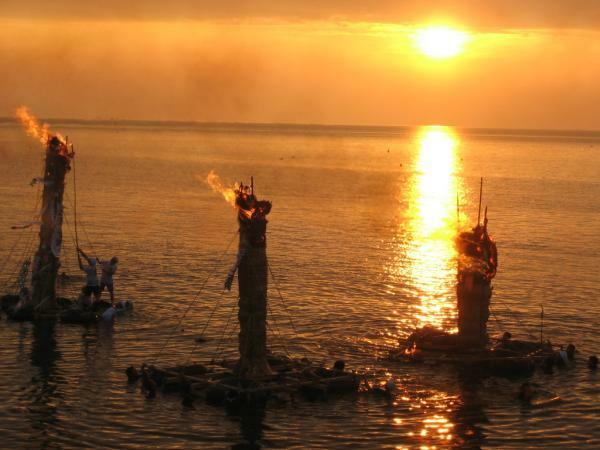 On July 31 every year, a fire ritual "Namerikawa Nebuta Nagashi Ritual" (National Designated Important Intangible Folk Cultural Asset) is held at the Nakagawara Coast (commonly known as Wada Beach) to ward off evil and pray for good health. It is said that Matsuo Basho, the famous haiku poem author in the Edo period, dropped in Namerikawa. Haiku poem has been very popular here since the clan government era. The sea area around Namerikawa is designated as a special natural monument preservation area as “the area firefly squids flock to in large numbers". 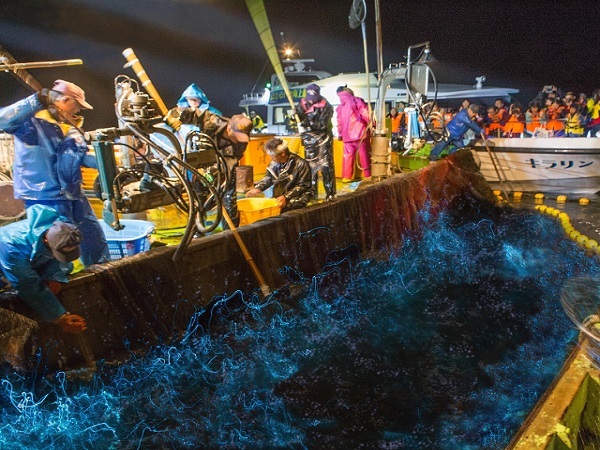 “Firefly squid boat tour” is conducted from late March to May every year, and you can take a close look at a large number of firefly squids caught in the off-shore fixed net and emitting bluish white light from the sightseeing boat. In “Hotaruika Museum”, the only one museum of firefly squid in the world, you can experience the luminous lights of firefly squid closely during the fishing season. 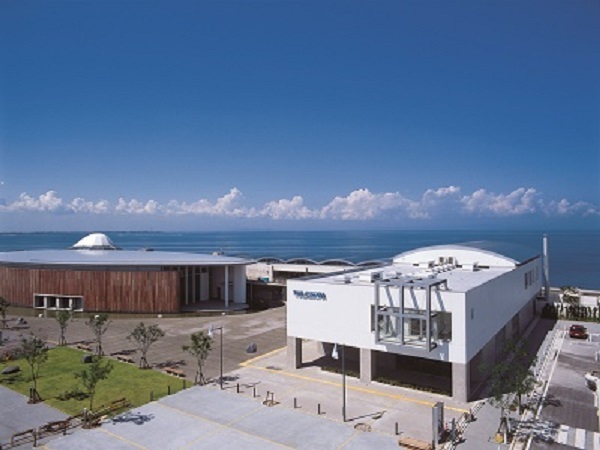 Namerikawa City is one of the most famous production areas of deep-sea water in Japan. By taking this advantage, you can experience “thalassotherapy” (sea water therapy) using deep-sea water in "Thalassopia", and you can easily get deep-sea water at “Aqua pocket” (deep-sea water distribution facility). 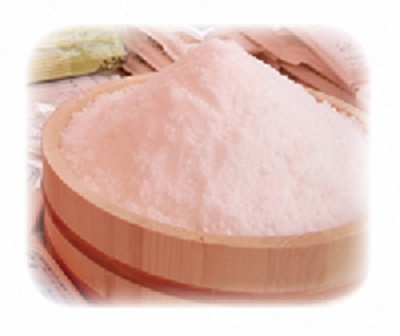 Moreover, there is a salt-manufacturing facility, which makes mineral-rich salt of deep sea-water readily available. There are sister-brother firefly squid’s characters called "KIRARIN" and "PICCA", appearing in various media and designed on the products related to Namerikawa City. They also appear in numerous events inside and outside the city.